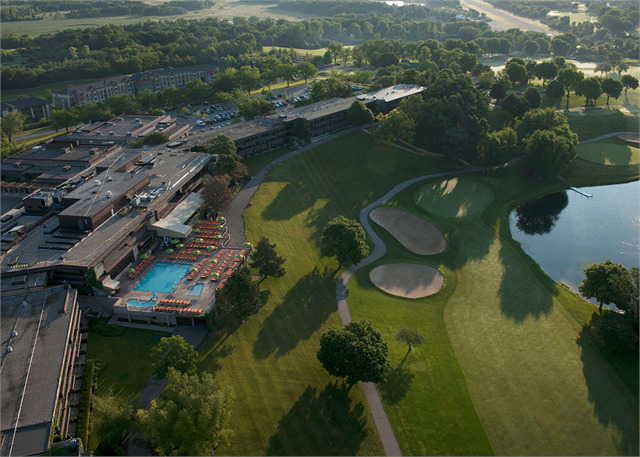 Planning is underway for our next conference at the Grand Geneva Resort in Lake Geneva on October 25-26, 2019! You can expect one full day and one half day of sessions, workshops, events, tours, and ample opportunity to make new connections and catch up with your local history and preservation partners from all across the state. Hotel rooms are available at the Grand Geneva Resort at a reduced conference rate of $82 per night. The resort includes many onsite restaurants, cafés, and bars as well as two golf courses, the Well Spa + Salon, and an indoor pool. A refundable deposit equal to one night stay is required at the time of booking and will be charged to your credit card. Reservations may be cancelled by 4:00 PM at least 72 hours prior to arrival to avoid a one night penalty charge. Online: Use the special Wisconsin Historical Society reservation link provided by the Grand Geneva. Phone: Call 844-759-2908 and ask for the Wisconsin Historical Society Conference rate. 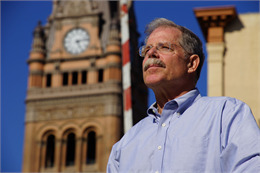 John Gurda is a Milwaukee-born writer and historian who has been studying his hometown since 1972. He is the author of twenty-one books, including histories of Milwaukee-area neighborhoods, churches, and industries. He is also a photographer, lecturer, and local history columnist for the Milwaukee Journal Sentinel. Gurda is an eight-time winner of the Wisconsin Historical Society's Award of Merit. The common thread in all his work is understanding history as "why things are the way they are." Gurda wrote, co-produced, and hosted Milwaukee: A City Built on Water, a one-hour documentary broadcast on Milwaukee Public Television in 2015 as well as a companion book available from the Wisconsin Historical Society Press. Caitlin Zant joined the Wisconsin Historical Society as a Maritime Archaeologist over 5 years ago, after attending the Maritime Studies Program at East Carolina University in Greenville, North Carolina for graduate school. In her six years of working as a maritime archaeologist, Caitlin has been involved with over 35 archaeological projects and has assisted in nominating 20 shipwrecks to the National and State Register of Historic Places. 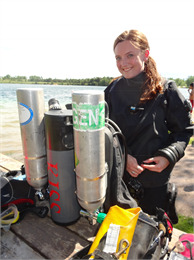 Caitlin has primarily focused her studies on the maritime history of the Great Lakes, specifically within Wisconsin. Prior to becoming a Maritime Archaeologist, Caitlin studied History and Geography at Carthage, graduating in 2012.